The Cross at the Castle events on the Isle of Mull in December are now open for online entries through the British Cycling website, click on the following links to be taken straight to the relevant pages - Saturday & Sunday. Online entry is a new feature on the British Cycling site and if it proves to work well for riders and organisers, we'll encourage all events to use it next year. 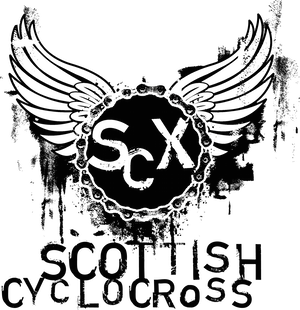 Online entry for the Scottish Cycling Cylocross Championships at Auchentoshan is also open, but we are currently exploring whether it can handle Scottish Cycling's entry requirements properly. Please do not enter online until you've checked that you meet the eligibility rules. Next up - two competitions! Mullart are once again sponsoring a photo competition for photos from the 2011 The Tri Centre Scottish Cyclocross season - simply add your photos to the Scottish Cyclocross group on Flickr to be in with a chance of winning one of Mullart's prints. To support the Movember movement (or mouvement? ), Velo Club Moulin are offering a prize for the best moustache at the Scottish Cycling Cyclocross Championships - kit and some liquid goodies from their sponsors Bulmers (for over 18s) are up for grabs. If you're less than hirsute, then non-natural moustaches will count too.